Our Pre-stretched Screens are made of the finest quality aluminum extrusion with parallel sides and corners welded flat. 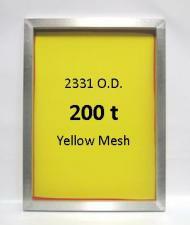 They are stretched to high tension with Low-elongation Mono-filament Polyester Screen Mesh in a range of mesh counts to best accomodate your specific print application. 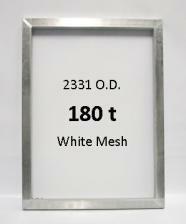 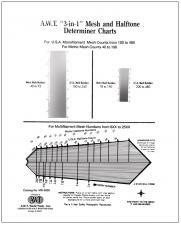 Not sure what mesh to choose?...click here for our Mesh Count Application Chart.